Kylemore Abbey and Victorian Walled Garden is an absolute must see on a trip to the west of Ireland. 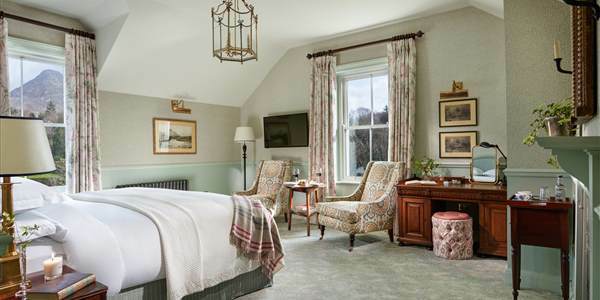 Located a 30-minute drive from Ballynahinch Castle, this iconic castle is set in the most idyllic location, nestled between the base of Druchruach mountain and the picturesque Lough Pollaacapull. 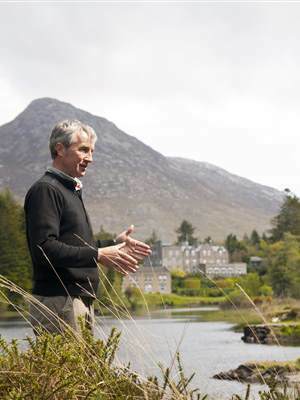 The view of the Abbey with the backdrop of the rugged landscape reflected in the stillness of the lake is a sight to behold, making it an unforgettable part of a trip to Connemara. One of Irelands most loved attractions, Kylemore Abbey is filled with spirituality, culture and a sense of tranquillity. It also has a remarkable history, the castle at Kylemore was built as a romantic gift by Mitchell Henry to his wife Margaret. No expense was spared in this lavish gift and it was built with all the luxuries of the time. After a few short years sadly Margaret passed away and Mitchell built the beautiful neo-Gothic Church in her memory. Kylemore Castle changed owners over the following years, but 1920 marked the arrival of the Benedictine nuns who had fled from Belgium after their Abbey in Ypres was destroyed in World War I. The nuns began restoring the building back to its former glory and Kylemore Abbey was opened as an international boarding school for girls. 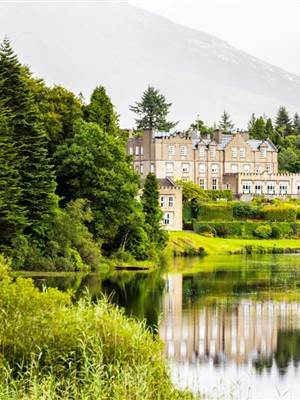 Over the years, the boarding school at Kylemore Abbey attracted several high-profile students. One of Ballynahinch Castle’s previous owners, Prince Ranji, sent his two nieces, Baba and Bjaniba to be educated by the Benedictine nuns. After many years, the school at Kylemore Abbey closed with the last students completing their exams in 2010. In the mid-nineties, the Benedictine nuns began work on the Victorian Walled Garden which had fallen into despair having not been maintained by previous owners. The magnificent Walled Garden was one of the last walled gardens of the Victorian era built in Ireland and the only Irish walled garden to be built in the middle of a bog. During Henry’s ownership it contained twenty-one glasshouses, which were very advanced for the time. To grow exotic plants, they were heated by hot water going through a system of underground pipes linked to three boilers. The nuns worked to restore the gardens back to their Victorian standard and rebuilt two glasshouses as well as the gardener’s cottage. The Walled Garden at Kylemore is beautifully manicured and this heritage garden only grows plants and vegetables from the Victorian era. Kylemore Abbey and the Victorian Walled Garden is a top visitor attraction in the West of Ireland. Visitors to the Abbey can also explore the woodlands, lake walks and sample some of the Benedictine Nuns recipes in the Mitchell’s Café and the Garden Tea rooms. Kylemore Abbey is a must see when visiting Ballynahinch Castle & Connemara and only a 30 minute drive from the castle.